Get HBO®, STARZ®, SHOWTIME®, and CINEMAX® for first 3 months at no extra costAfter 3 mos., services automatically continue at then prevailing rate (currently $53.99/mo.) unless you call to change or cancel. Req’s you to select offer. Includes Genie® HD DVR upgrade.One HD DVR powers your whole homeAdd’l equipment req’d. Add’l & Advanced Receiver fees apply. 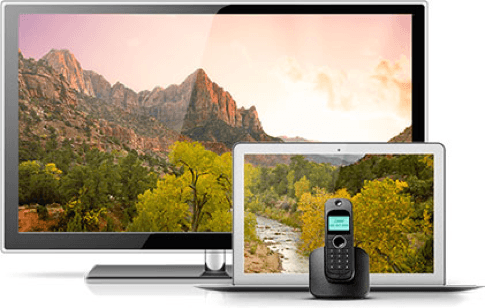 A home phone from CenturyLink is an easy, affordable way to stay connected to family and friends. CenturyLink phone service includes unlimited local calling, and unlimited nationwide calling can easily be added for an additional monthly charge. Loaded with convenient calling features like call forwarding, caller ID, call waiting, and no solicitation, CenturyLink Home Phone helps you get the most for your money. Just about everyone has a cellphone these days. And while cellphones are great for convenience, nothing can replace a dedicated home phone line. During severe weather, cell towers can be impacted and service may be disrupted. But with home phone from CenturyLink you have a line of communication via underground landline technology. You also save minutes on your cellphone plan by using your home phone, and you never have to worry about dead spots or dropped calls. Plus, placing a call to emergency services from a landline gives dispatchers a physical address, ensuring help arrives at the correction location. Add home phone to the services you're already receiving and save money every month. CenturyLink Bundles with home phone, Internet, and TV make it easy to create a customized home services package. Getting all your home services from one provider means you only need to manage one account, receive one bill, and call one customer support number. Choose the speeds, channels, and features you want, and enjoy the convenience of combining all your home services.